Welcome to flightsdubai.org, helping you find the cheapest flights to and from Dubai on Emirates, flydubai and all other carriers. Jet Airways launches flights from Dubai to Mangalore, India. 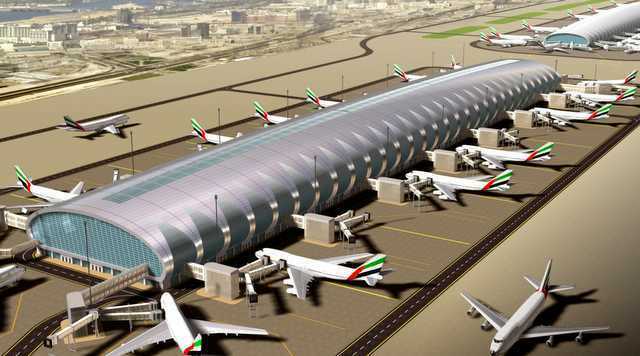 Dubai International Airport passenger traffic is nearing five million flyers a month. Dubai Airports Authority announced that in March the airport reached 4.84 million passengers, an increase of 15% from the previous year. The Red Bull X-fighters kick off the 2012 season in Dubai, at the Walk at Jumeirah Beach Hotel. The Dubai Airport Show is now set to become an bi-annual event to be held between 22 - 24 May 2012. It will showcase the best in the Dubai aviation sector and is a key event in the Dubai aviation calendar. Dubai Airports (Dubai International [DXB] and Al Maktoum International [DWC] )have managed to drop CO2 emmissions by a astounding 72,000 T ( tonnes), saving 131.9 Million gallones of water as well as saving close to Dh15.9 million ($4.33 million) in Fuel costs. This after a concerted effort by Dubai Airports Authority. The Emirate's second airport, The Dubai World Central, will begin passenger operations (cargo is already being transported via the airport ) in early 2013 starting with low-cost carrier "flydubai", announced Mohsen Ahmad, director of operation development, in an inrterview with media and stakeholders.